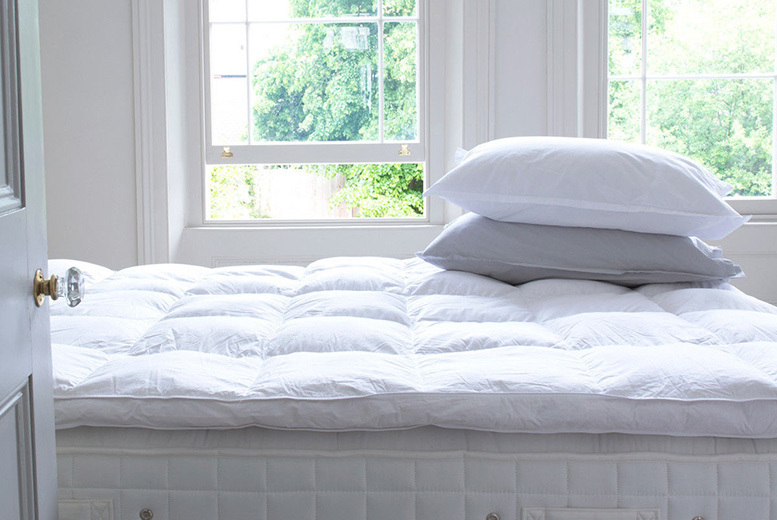 Get a goose feather and down mattress topper. 5cm deep topper made of 85% goose feather and 15% pure down. With a 100% pure cotton fabric. Comes in five sizes from single to superking. Ideal to make your luxury and comfy nights.